This indicator mostly inspired from BW-ZoneTrade custom indicator from MT5. BUY when both dots colored Green. SELL when both dots colored Red. In addition to original one, MACD-OsMA-generated signal also can be drawn. MA_period_short: Faster EMA period for MACD. Applied when drawMACD is true. MA_period_long: Slower EMA period for MACD. Applied when drawMACD is true. MACDperiod: MA period for MACD. Applied when drawMACD is true. 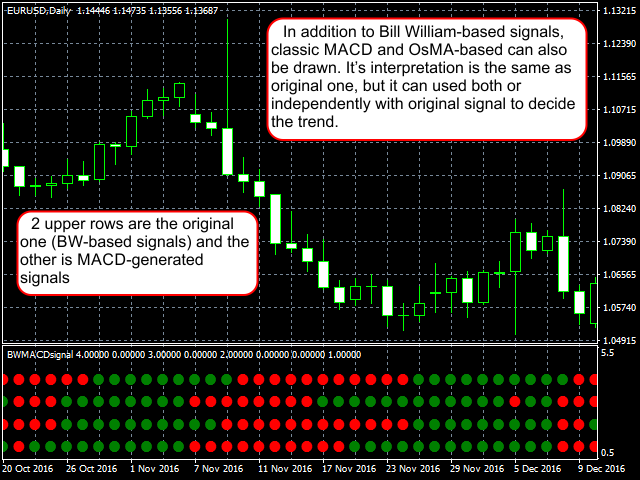 drawMACD: When true, draw an additional dots for MACD-OsMA generated signal. Off-by-one bug fix at the most lest of the chart (like in 14-period indictors, it must start at 14th bars). 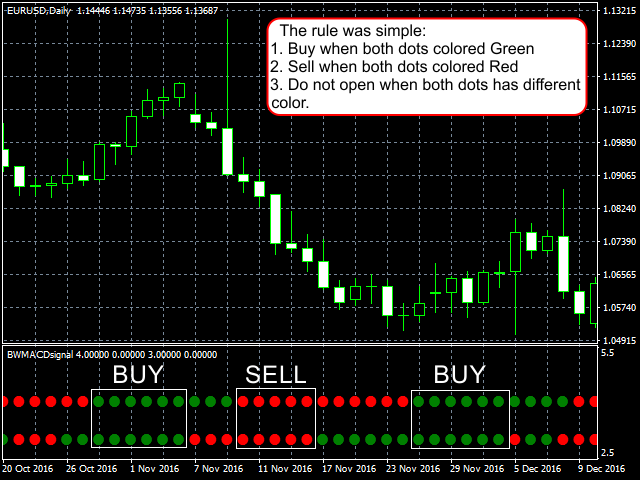 Version 1.12: Adding IndicatorShortName for this indicator, in case you use MACD generated signal.